Cantina31Marzo ship all over the world by express courier. The shipping costs are calculated in proportion to the wheight and the destination of the delevery: the shipping cost is automatically calculated during thepurchase of the order. Rates of Zone 2 refer to Venice and minor islands. Shipping service in Europe VAT and INSURANCE included. Magnum Bottles are considered as 2 bottles of 0,75L. For bigger quantity send us an email. Customs information: Shipments that are carried out by the European Community are subject to customs fees imposed by the state in which you receive the goods. If any customs duties are ALWAYS paid by the CUSTOMER. The purchase of wines, as all alcohol is only allowed to guests over 18 years. Cantina31marzo is an online store that meets the existing legislation on e-commerce. For every order placed Cantina31marzo issue an invoice sent by e-mail to the art. 14 of Presidential Decree 445/00 and dL 52/2004. the data provided by the customer when the order will be included in the invoice. The correct order is confirmed by Cantina31marzo by e-mail answer sent to the email address communicated by the customer. This confirmation message will resurface all data entered by the customer who agrees to verify the correctness and communicate any corrections. For countries Extra-EU, Cantina31marzo will not be responsible of customs procedures and blockages of the goods at customs. And 'customer care appoint an external broker for the processing of these customs. All our wines packed and traveling are covered by insurance, which protects the customer in case of breakage or loss during the order transportation. 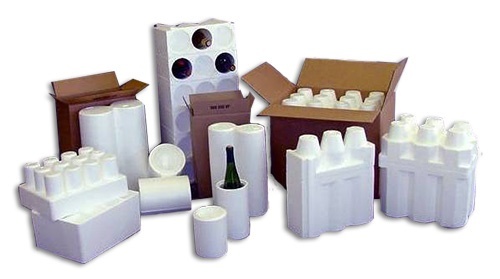 We only use packaging suitable for safe shipment. We recommend that you always check the number and condition of the packages, if not, the dispute should be made ​​immediately to the courier quickly the incident. The cost of replacement and delivery will be entirely on us.